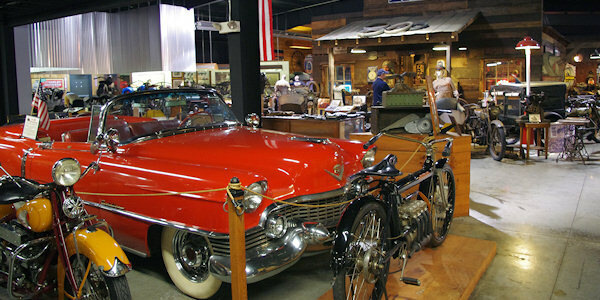 This unique museum in Maggie Valley is home to an outstanding (and surprising) huge collection of rare American vintage motorcycles and automobiles. It's been featured in many magazines and national television shows including the History Channel. 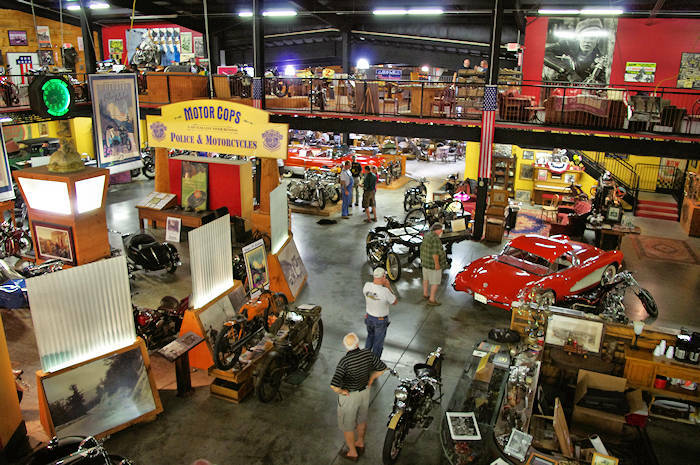 Located five miles from the Blue Ridge Parkway, this all-American motorcycle museum houses 300+ of America's rarest and most historic classic motorcycles, including Harley-Davidson, Indian, Excelsior, Crocker, Henderson, and much more. 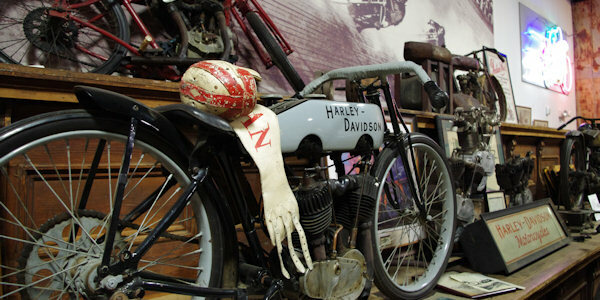 Regarded as one of the world's premier destinations for motorcycle and transportation history, the museum continues to grow, with an unparalleled collection of memorabilia, and continues to provide new exhibits. See dozens of motorcycle-related exhibits, ranging from board track racers, hillclimbing, and original paint machines to American dirt track racing, choppers and bobbers, and one-of-a-kind motorcycles. Any classic car buff will love their "Decade Collection" with many American automobiles in a timeline spanning nearly 100 years. Classics of the 30s, such as Packard, Lincoln, and Cadillac. 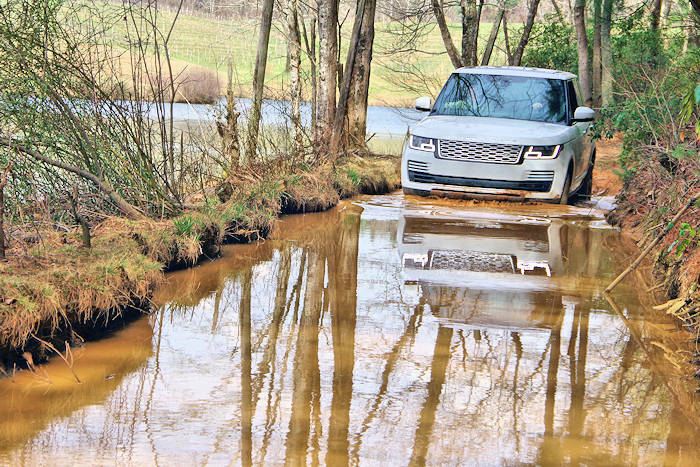 Like the motorcycle collection, these automobiles are used regularly. Early teen cars include the Locomobile and Cadillac, which were the top of the line during their time. 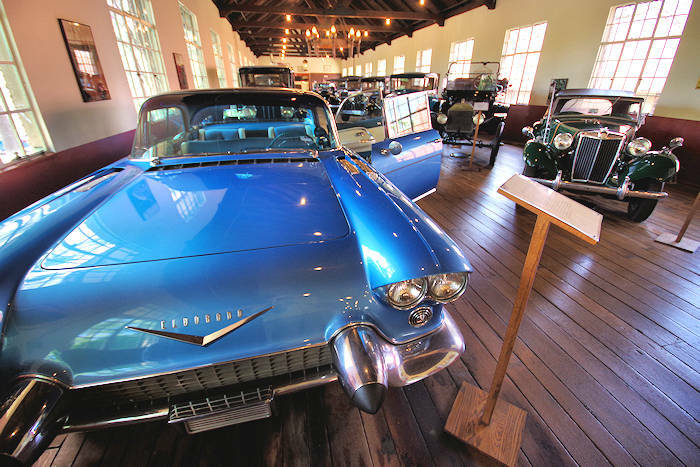 More modern cars consist of a sheik 1954 Eldorado convertible and a 1962 Corvette Roadster. Over 25,000 pieces of art and memorabilia grace the museum, providing a ambience and atmosphere unlike any other. Each piece provides gives a more in-depth glance at a way of life that has influenced American culture for over 100 years. Founded by Dale Walksler in 1993, Wheels Through Time has become an integral piece in discovering, maintaining, and preserving American transportation history. Wheels Through Time is located in scenic Maggie Valley (read more) - near Waynesville and Cherokee. It's about 34 miles west of Asheville - allow about 40 minutes to drive. Address: 62 Vintage Lane, Maggie Valley. 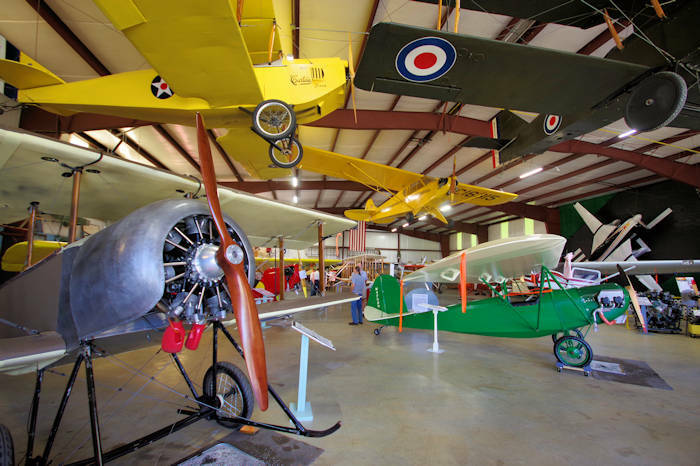 For more information, call the museum at (828) 926-6266 or go to their Web site.